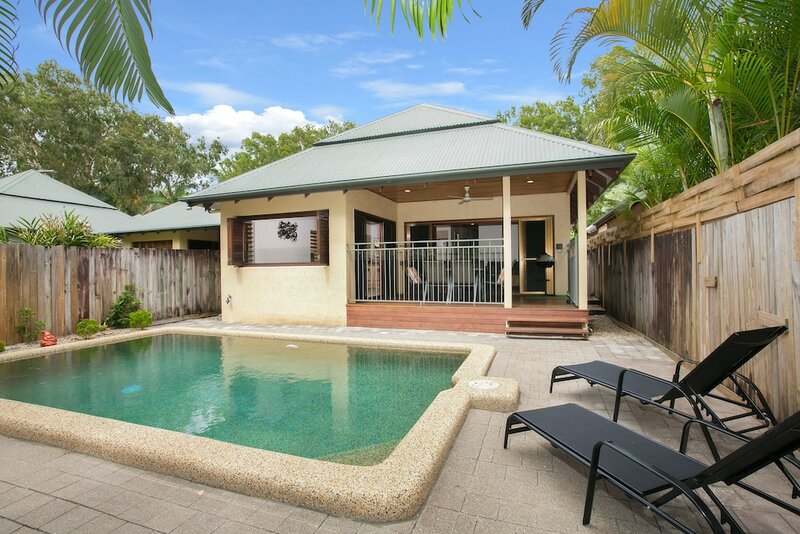 When you stay at this vacation home in Palm Cove, you'll be near the beach, a 1-minute drive from Palm Cove Beach and 6 minutes from Clifton Beach. This 4-star vacation home is 8.2 mi (13.2 km) from Great Barrier Reef and 1.8 mi (3 km) from Clifton Village Shopping Centre. Make yourself comfortable in this air-conditioned vacation home, featuring a kitchen with a full-sized refrigerator/freezer and an oven. There's a private balcony. A flat-screen television with digital programming provides entertainment, while complimentary wireless Internet access keeps you connected. Conveniences include a desk and a microwave. Enjoy recreation amenities such as an outdoor pool or take in the view from a garden. Additional amenities at this vacation home include complimentary wireless Internet access and barbecue grills.